Pronounced: "BLANK-oh, rhymes with plank"
"The Lavender Capital of Texas"
"The Warmest Welcome in the Hill Country"
Blanco Historic Town Square: small town charm, the historic courthouse, plus numerous shops and restaurants. See events below, and Hill Country Lavender. Blanco Pioneer Museum: 418 Pecan St, in Pat Ryan Building. 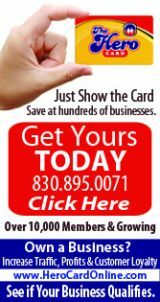 www.blancopioneer.org. Genealogy and historical exhibits. 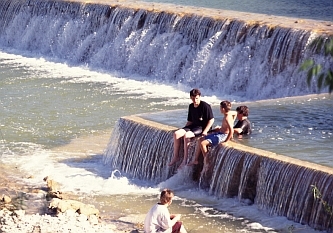 Blanco State Park: 830-833-4333; 101 Park Rd 23, Blanco, TX 78606-4835. See YouTube Video1, Video2, Video3. See Parks, and TPWD Profile. Located just blocks from the Blanco Square, offers RV sites, camping, swimming and fishing. For nearby events see Festivals & Major Events, Trade Days & Farmers Markets, Live Entertainment, and calendars on our other focus topic pages accessible from the menu above. HISTORY: Handbook of Texas Online: "In 1853 pioneer stockmen built cabins along the Blanco River near the present site of the town and prepared to defend themselves against Indian attack. In 1854 the operators of the Pittsburgh Land Company, including Gen. John D. Pitts, A. M. Lindsey, F. W. Chandler, William E. Jones, and Capt. James H. Callahan, purchased the league granted to Horace Eggleston by the government of Coahuila and Texas in 1835. They laid out the town of Pittsburgh, named for General Pitts, across the river from the site of future Blanco. That same year a Methodist church was organized by circuit rider Daniel Rawls. The congregation met in a log cabin built to withstand Indian raids, which also served as a school. The Twin Sisters Masonic Lodge, organized at Curry's Creek perhaps as early as 1856, moved to Pittsburgh around 1857. When Blanco County was organized in 1858, an election located the county seat across the river from Pittsburgh, and named the townsite Blanco for the Blanco River. The Pittsburgh Land Company gave the new town 120 acres of land. 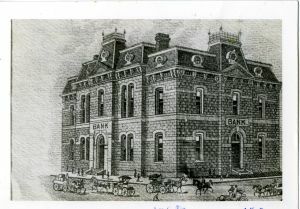 In 1858 a post office was established. Mail service was temporarily discontinued with the beginning of the Civil War, but the citizens raised money to bring mail once a week from New Braunfels in order to receive the war news. The first Baptist church was organized in 1859. In 1860 the first courthouse was built on the public square by A. V. Gates for about $600. In spite of hardships suffered during the Civil War, the town continued to grow and by 1870 had four stores, a hotel, and a gin. The old union church, built in 1871 at a cost of $1,300, remained for many years the center of town life. It was used as a church by different denominations, as a schoolhouse, and as a community meeting place. In 1874 the Masons drew up a charter for Blanco Masonic University. A foundation was laid, but building was discontinued because of a lack of funds. A new courthouse of native stone was built in 1875 by Frederick E. and Oscar Ruffini, architects. In 1876 a fire destroyed the Masonic lodge, the old courthouse, and all of the county records. The same year the residents of Johnson City made their first attempt to have the county seat relocated by petitioning for an election. They were unsuccessful. In 1884 the citizens of Blanco formed a joint stock company to raise the capital necessary to establish a high school. They elected a board of directors and a president and applied for a charter for Blanco High School under the Private Corporations Act. A two-story building was built on the foundation of the Masonic university. It opened in October 1884, and the first class graduated in 1887. 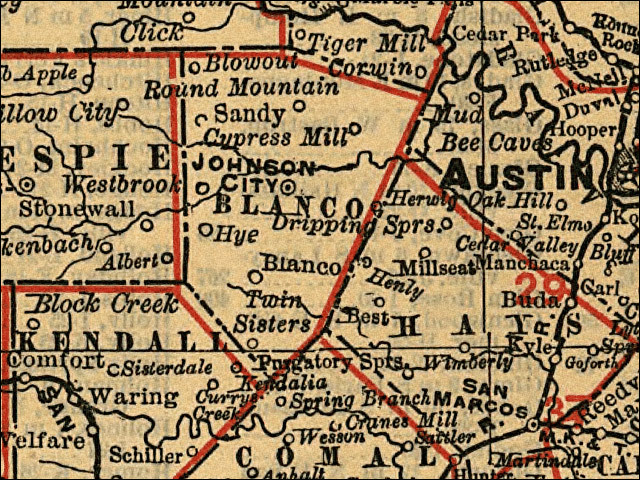 In 1890 Johnson City won a county seat election, and Blanco lost its position as county seat; the courthouse records were moved to Johnson City in 1891. The rivalry between the two towns that began with this election is still hot. Blanco has primarily been a ranch and farm trade center. 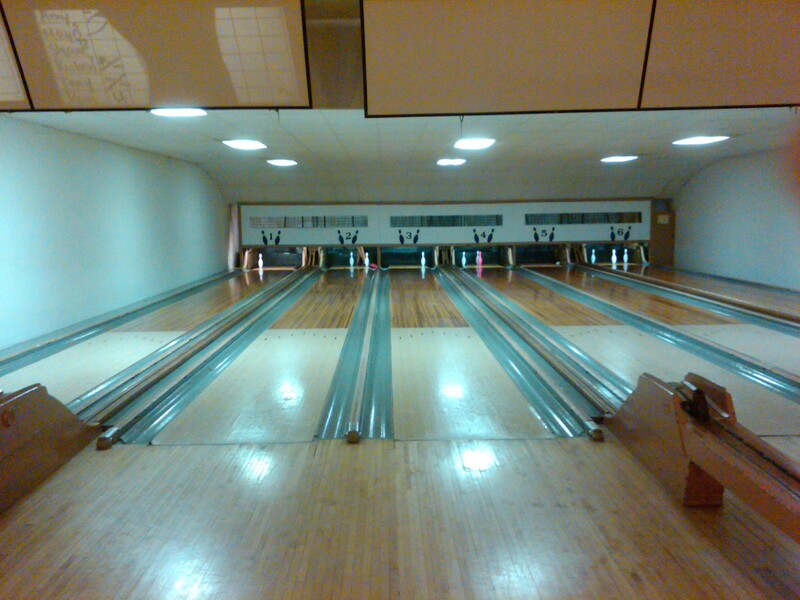 It had a population of 469 in 1904 and 1,100 by 1939, when the town was incorporated. By 1946 the town had forty businesses, a hospital, and a weekly newspaper, the Blanco County News. The population dropped in the 1940s to 453 before increasing again in the 1950s. In 1980 the census reported 1,179 residents in Blanco. There were forty-six businesses. In 1990 the population was 1,238, and in 2000 it grew to 1,505. Christ of the Hills Orthodox Monastery is nearby." Blanco named for the Blanco River. Blanco means "white" in Spanish. Blanco City Cemetery: Lat-Long (30° 05.615' N 98° 25.038' W); On FM Loop 163 (intersecting RR-165), just E of town, on R (S); est 1856; 2611 graves; historical marker. FOR SALE >> SOLD !